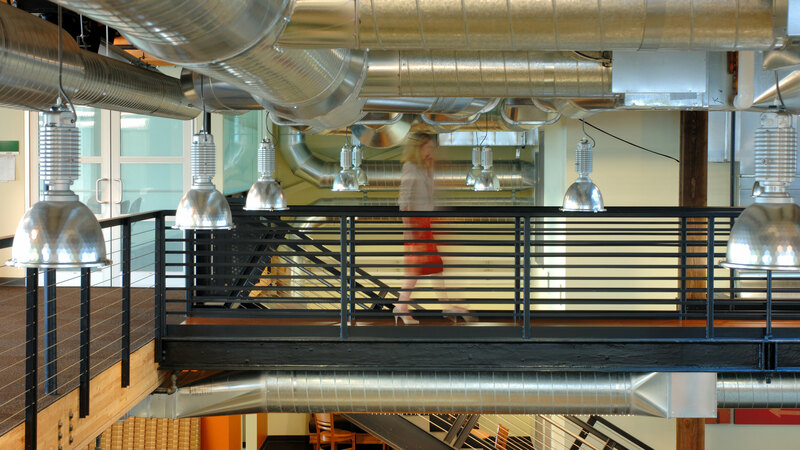 On the top floor of the commercial tenant floors, a mezzanine creates a great light-filled space. Exposed ductwork under the reclaimed timber ceiling gives the space a cool industrial feel. Steel and wood building exterior at deck, part of the addition to the historic building structure. 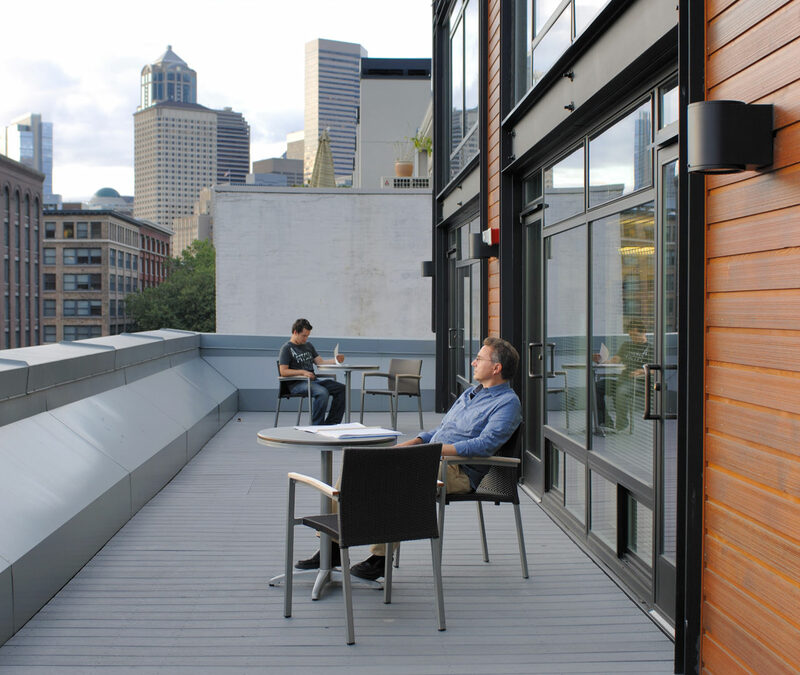 A large Seattle-based coffee company needed space for a growing division within an historic building in Seattle’s Pioneer Square. The tenant improvement design balances the privacy of workspaces, semi-public areas for informal collaboration and group work, and formal meeting areas. Unassigned ‘hoteling’ workspaces for contract and temporary employees provide optimum flexibility for a mobile workforce, and open spaces bring daylight and natural cooling far into the building floorplate. 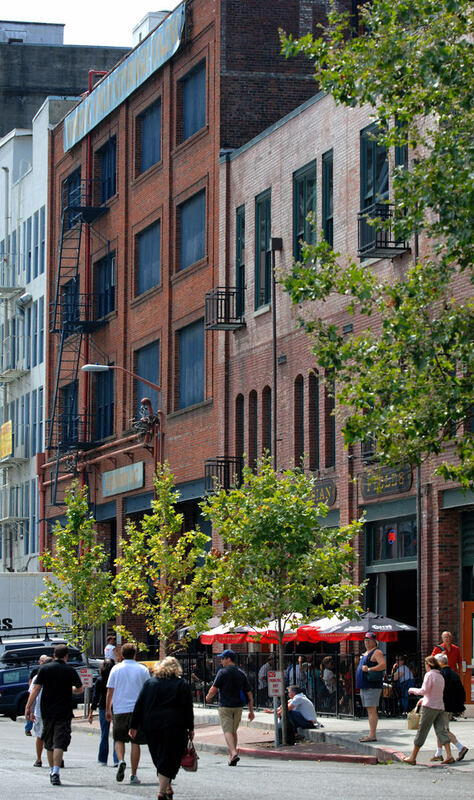 Mithun also completed seismic rehabilitation and renovation of the three-story historic Reedo Building, damaged during the 2001 Niqually earthquake, using the LEED Core and Shell pilot program. A concrete and steel frame replaced earthquake-damaged structural timbers, which were then milled on site to create new structural elements, flooring and trim for the building interiors. 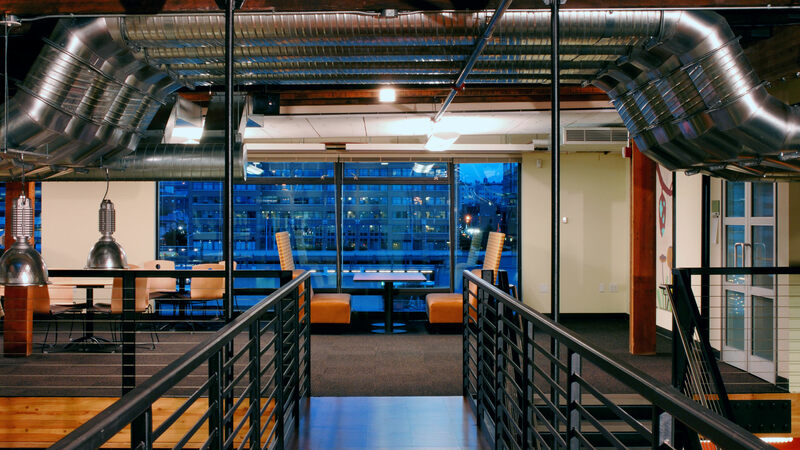 Energy efficient radiant panels and chilled beams provide heating and cooling in the office spaces.